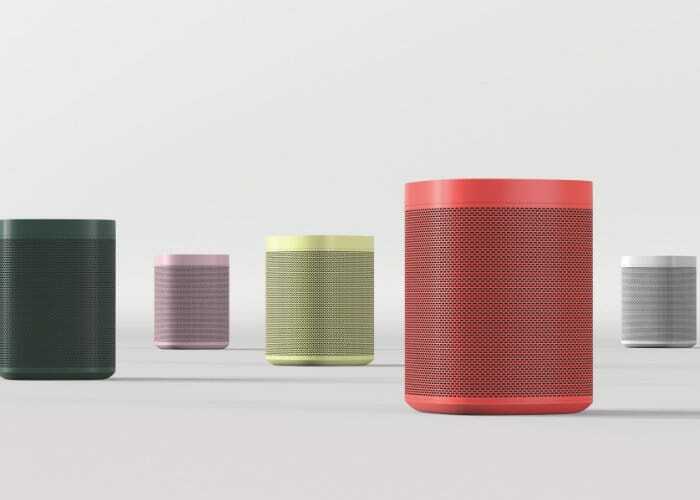 If you have been patiently waiting for the availability of the colourful Sonos One wireless speakers created in collaboration with HAY you’ll be pleased to know that Sonos will be starting sales early next month making the limited edition Sonos One speakers available to purchase from November 5th, 2018 onwards and available in yellow, green, red, pink, and grey finishes. Priced sat $229 the limited edition colours bring with them a $30 premium over the standard Sonos One speaker which is available in in black or white and retails for $199. The Sonos One is equipped with a pair of Class-D amplifiers and custom-built drivers, “meticulously tuned for rich, room-filling sound”. If you own two or more the Sonios one can be paired together in the same room for instant stereo sound. – Sonos One blends great sound with Amazon Alexa, the easy-to-use voice service, for hands-free control of your music and more. – Sonos One’s compact and versatile design make it great for rooms where space is at a premium. – Sonos One is part of the Sonos sound system, so you can easily add more speakers to fill every room with sound. For more details jump over to the official Sonar’s website by following the link below.